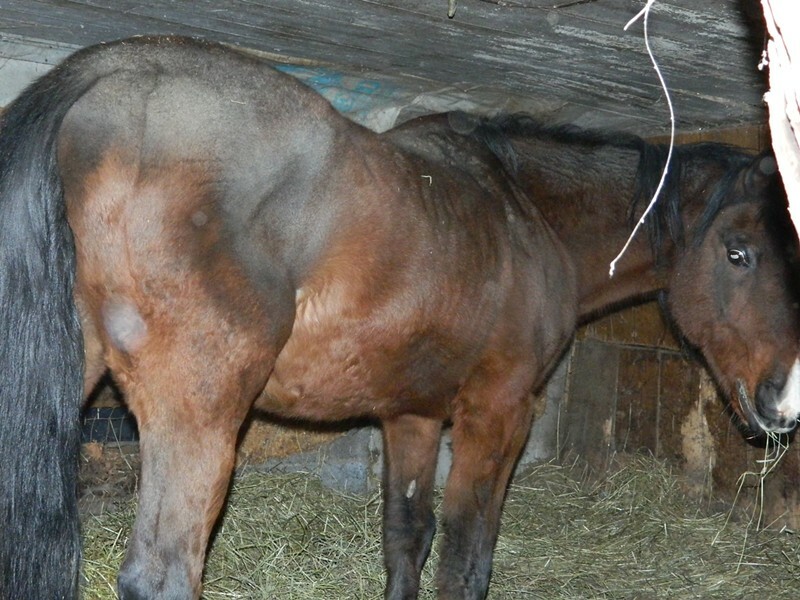 When Spring Hill volunteers found the stallion (pictured), named Willie, his teeth were rotted and he was covered in lice, the press release said. 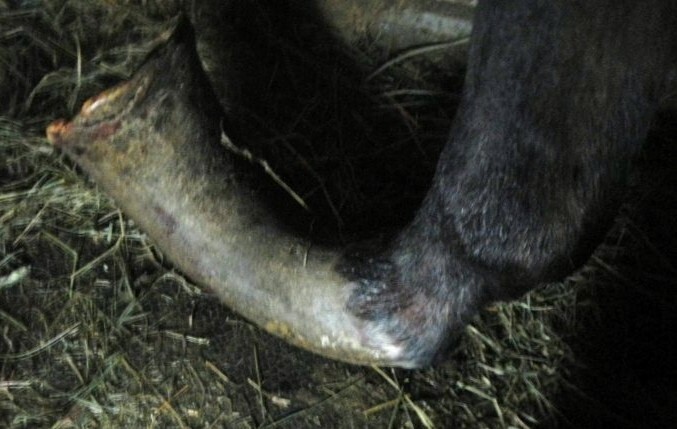 "His hooves are the worst cast of abuse and neglect we have ever seen," the group said. "He had trouble walking; it took six people to help lift him onto the trailer." Spring Hill personnel removed 24 inches of overgrown hoof (pictured at top) from Willie, which they later found infested with maggots. "Willie is almost blind, most likely due to living the dark for years," the group said. The mares, named Dolly and Lolly, were "utterly terrified as they have had little contact with humans," Spring Hill Horse Rescue said in its press release. 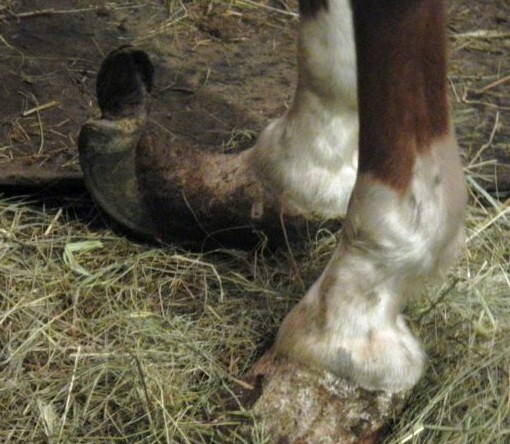 Their hooves were also overgrown (Lolly's hooves are pictured below) and both mares are showing signs of limited vision. Donovan said he did not have further information on the case, as he had not seen paperwork from Shelburne police. Deborah Loring of Spring Hill Horse Rescue said she could not discuss details of the case beyond what's in the press release, pending a possible criminal investigation.